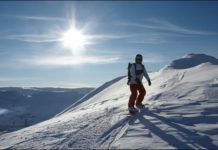 Ski touring or back country skiing is a fantastic way to escape the crowds, experience nature at its best and get fit at minimal environmental cost. Ski touring, randonnee skiing, backcountry skiing and ski mountaineering are some of the terms used to describe snow enthusiasts who seek solitude and fresh tracks beyond the marked boundaries of ski resorts, without employing mechanised means of getting there (such as lifts, skidoos, snow cats or helicopter). 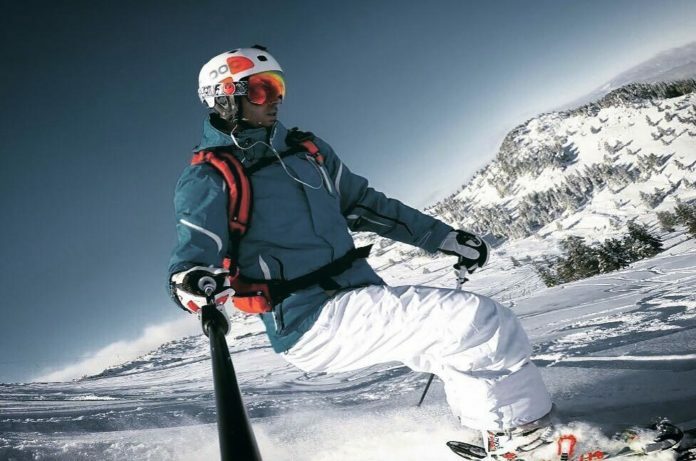 Special equipment is used to enable a skier to walk uphill with their skis on then adjust to downhill mode when they are ready for descent. A ski touring trip may range from a short half day jaunt or a multi-day hut to hut journey e.g. the famous Chamonix to Zermatt Haute Route. To travel uphill on skis a ski touring binding and skins (traditionally made of seal fur, nowadays synthetic or mohair) are required. 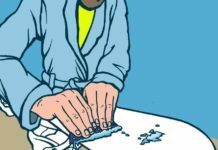 The skins with re-adhesive glue on one side are stuck to the skis for uphill travel and can be peeled off and stored for future use for skiing downhill. The fur or pile on the skins slides one way and grips the other (similar to the resistance if one imagines stroking a cat against the direction of fur growth). This enables skis to glide uphill but not slide back. 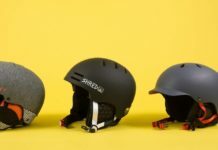 Ski touring bindings, ski touring skis, touring boots, skins, ski crampons, extendible ski poles, avalanche equipment, communication devices such as mobile phone or radio and navigation aids is the gear needed for safely skiing in the back country. 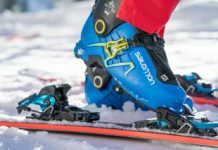 Read more about the equipment for ski touring in the article in this series How to Choose Ski Touring Gear. Back country skiing is suited to strong (black run or black diamond run) skiers with a solid fitness level. Off-piste experience is recommended before trying ski touring. 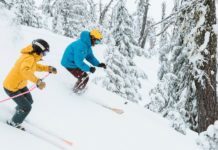 Off-piste skiing or skiing beyond the groomed trails can be practised at most ski resorts to become familiar with a range of ski conditions that may be encountered in the backcountry. 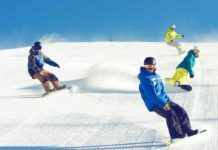 Pistes (groomed trails) typically offer a smooth regular surface which makes controlled skiing easy to master. 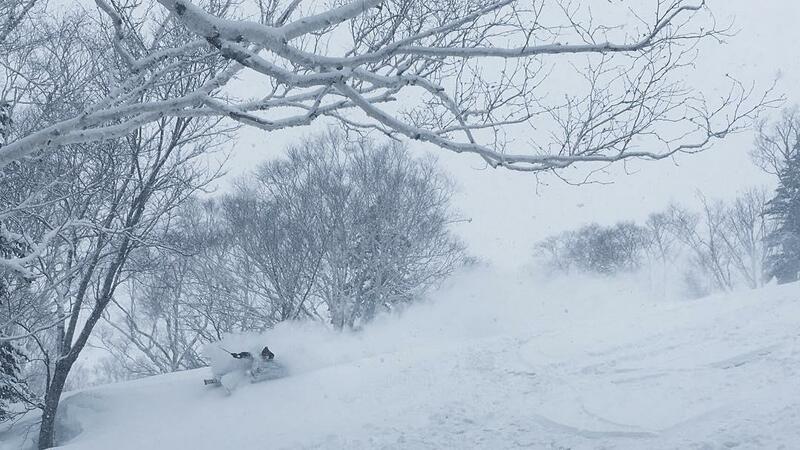 Off-piste conditions can vary from a smooth piste-like surface (typically experienced on corn snow in spring) to deep powder snow into which the stationary skier sinks, crusty snow which offers a snow surface that is hard (even ice) on top and soft underneath this hard layer may or may not be breakable when the skier turns and a myriad of conditions in between. Many guide companies that operate in mountainous areas offer backcountry skills courses that provide a foundation in ski touring techniques, alpine awareness and decision making skills. Sound aerobic fitness is required for ski touring.The ability to hike for several hours uphill at a steady pace (300 vertical metres / hour or 984 feet / hour), with a small backpack (7 kgs or 15 lbs) is a good indication of appropriate fitness. Participating in aerobic exercise such as running, cycling or walking (outside or, in a gym) three times per week provides a good base for taking on ski touring. Simply walking up a gentle hill with skis underfoot does not require serious fitness. 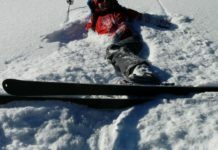 Many ski touring techniques however, such as kick turns, skinning with ski crampons, walking with skis on a backpack, skiing on variable snow and getting up after falling in deep snow are strenuous until the correct technique is mastered. Backcountry skiing has certain risks due to travelling in a remote environment, subject to changeable weather and snow conditions. Hazards include exposure to avalanches, cold injuries, route finding in variable terrain and coping in inclement weather. This is not to mention added risks in glaciated terrain. 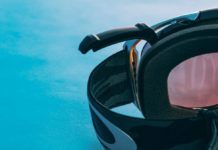 Skiers should not venture beyond the ski field boundaries unless they have sufficient skills, experience and equipment to travel safely and self sufficiently. 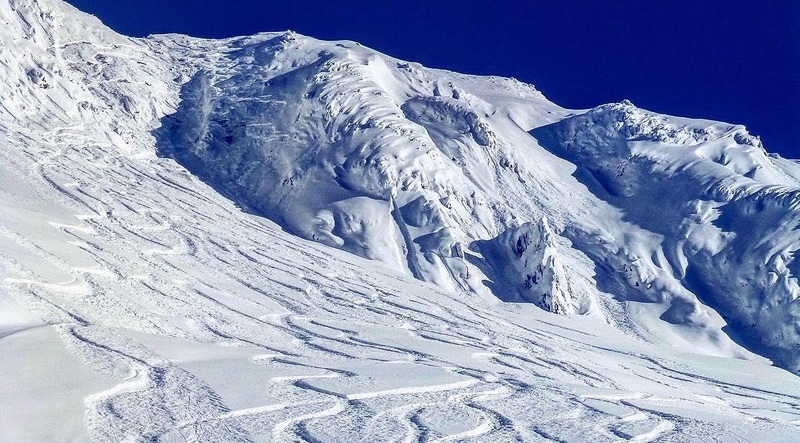 A mountain guide may be hired who is trained to minimize the risks, choose an itinerary suitable to the group and be familiar with local conditions to manage the safety of the backcountry party so they can focus on their ski touring experience. The pleasures of backcountry skiing are very individual but may be derived from experiencing nature, even wilderness areas, escaping the ski field lift queues, the ability to ski in areas that lifts do not access, ski fresh powder snow, and the challenge of gaining a peak under one’s own steam.